Midwest has a commitment to quality in every aspect of its business by every one of its employees. Quality Policy: To meet and continually improve upon our quality systems and our customer’s expectation by delivering defect-free parts on time at a competitive price. Midwest is an ISO 9001:2015 registered company utilizing current technology and process control techniques to provide consistent high quality electrocoated parts for customers. A Quality Issues System (Q.I.s) is an integral part of Midwests quality management system. Q.I.s are used to identify, review, and document corrective action on quality issues raised by customers and employees. The system provides for assignment, investigation, and tracking. Incoming lots are automatically flagged for any part number with an open Q.I. This is done as part of the receiving process where Midwest creates its internal job ticket with processing instructions for the part number. 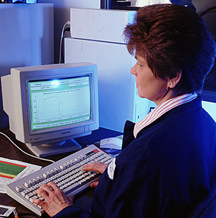 Statistical process control is incorporated as part of Midwests control plan for both tank parameters and part specifications. Midwest also has a talented team of experienced personnel that manages, operates, and maintains the pretreatment and electrocoat systems. This team stands ready to serve you. Midwest has developed talent and expertise from over thirty (30) years of operational experience in dealing with an extensive variety of parts and materials. This experience includes all aspects of the E-Coat process (part-racking, pretreatment, acid cleansing zinc phosphate, electrocoat, curing, and packaging). Our approach is always to work with our customers to find solutions to challenging process problems. Midwest is committed to staying in the forefront in evaluating new technologies, and achieving implementation where it benefits both Midwest and our customers.